come on a tour with us this summer for the best sightseeing in Utah. We have the best Utah tour guides. They will show you sights and tell you the history of Utah. 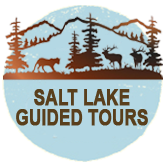 Choose Utah tour guides salt lake city guided tours on your next trip to Utah. Try our new tour in the Wasatch mountains up Bigcotton wood canyon.